Free bitcoin Appliation as internet android based aplication that allows user to earn free bitcoin every hour. 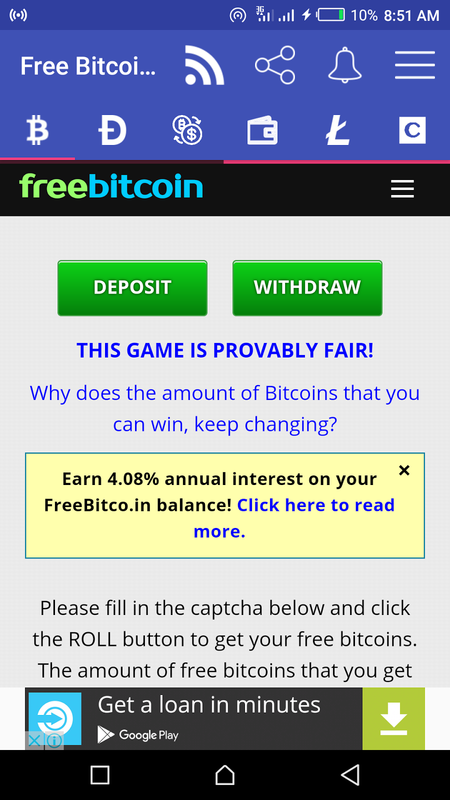 This App is designed in a way that it allows free rolls for its users to earn bitcoin. 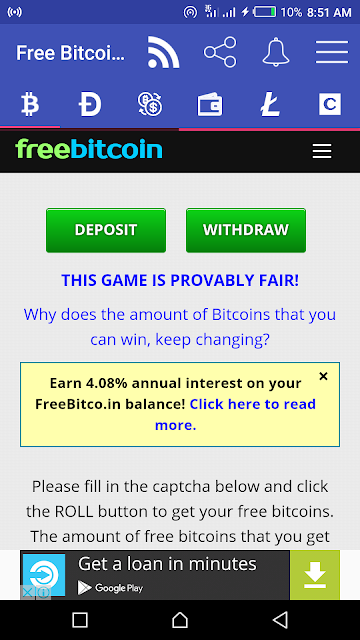 To use the App, you need to visit the google playstroe and search for Free Bitcoin or download the Apk file HERE. It is important to note that this app uses the internet. This means that without an internet connection you can’t make use of the app. This App is also design for exchange of coins. With the app you can trade your bitcoin for litecoin, ethereum and vice versa. To earn bitcoin, litecoin or ethereum with this app, the user needs to be online for everytime there is a free rool to get these coins. The app also allows its users to perform some online work to earn extra coins. For every download of application from the google play store, you earn an extra coins to your free roll. Using this app only require little of your time why not give it a try and see if you can actually get free bitcoins over a period of time. Dislaimer: Please note that Mntrends is not responsible for any lose or damage incurred during the use of this app. Read the terms and condition attached to the app before using the app.